For all the angst-ridden headlines about Greece, markets are saying this is no repeat of the debt crisis that peaked four years ago. While the extra yield investors demand to hold Spanish bonds instead of benchmark German debt has widened to 151 basis points from 85 in March, it’s still well below the 650 basis points seen in 2012, when Greece was last flirting with bankruptcy. To investors, that suggests the chances of contagion to the rest of Europe have diminished. Currency markets also signal optimism about the future of the monetary union, with the euro strengthening more than 2 percent against a basket of its developed-market peers over the past month. All this as the latest meeting of regional finance officials broke up without reaching a deal on Greek aid, forcing leaders to call for an emergency summit on Monday. As the specter of capital controls for Greece loomed, the FRA/OIS spread, a gauge of banks’ reluctance to lend to one other, jumped to 18 basis points on June 15, the highest in two years on an end-of-day basis. It’s since fallen back to 16.5 and even the peak was less than a quarter of the 80 basis points reached at the end of 2011. 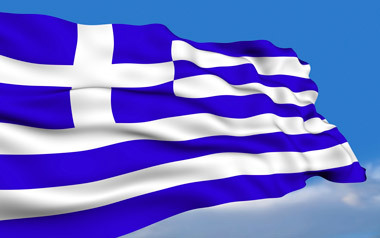 In another sign investors see the Greek turmoil as manageable, Spain came close to meeting its maximum target at debt auctions on Thursday. A measure of demand known as the bid-to-cover ratio jumped in offerings of three- and five-year notes. The nation also sold 10-year securities, attracting bids equivalent to 1.85 times the amount allotted.